Ralphie is a cheeky 5 year old 13.1hh Welsh Section C. Like many natives he is a good doer. His owner rang me (on the recommendation of a friend who I had helped with her horse) when Ralphie was 3 year old doing some in-hand showing and being slowly broken to ride. He had been diagnosed by her vet with acute severe laminitis with some rotation of both front pedal bones confirmed by x-rays. He was in considerable pain even though he was on ‘bute’ and very depressed. He was confined on box rest and regularly seen by her farrier. He was overweight (392kg, condition score: 7.5), very cresty but wasn’t being fed any hard feed and was on limited grazing with hay fed night and morning. He had been a bit lame and had at first been thought to have a foot abscess. However, it turned out that even the small amount of rich spring grass he was allowed had proved too much for him and he was confirmed with laminitis. He underwent a full consultation including weighing on the weighbridge, although he had to be weighed very close to his stable as he was so sore due to the severity of the laminitis. As he needed to be started on a new diet immediately to help stabilise his condition and the available hay looked to be way too high in soluble carbohydrates even to be soaked (confirmed by wet chemistry analysis), he was put on a diet using just Happy Hoof and a vitamin and mineral supplement from the vet. This meant that we were able to accurately control the nutrient content of his diet with no guessing of ‘unknowns’. The Happy Hoof was fed in 5-6 feeds per day and via a treat ball. After the 6 week stabilisation period he was still not allowed any grazing by the vet due to the time of year and available grass and so he was able to have access to his stable and a large hard standing paddock. He then went on to a maintenance daily diet of Happy Hoof, low starch and sugar branded haylage, the same vitamin and mineral supplement. The haylage was given over night in a very small holed net. 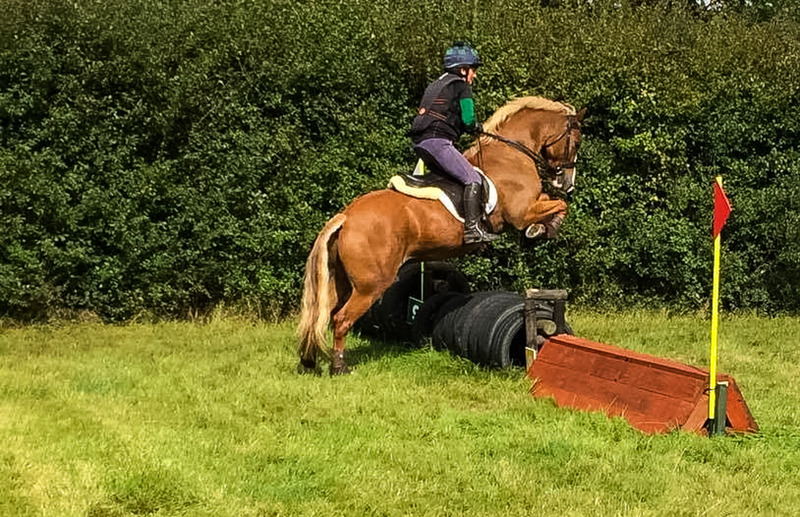 I am delighted to say that Ralphie made an excellent recovery and has now been broken, ridden away and enjoys both flatwork and jumping including cross country. He has limited turnout and is monitored closely but to all intents and purposes is back leading a normal life. 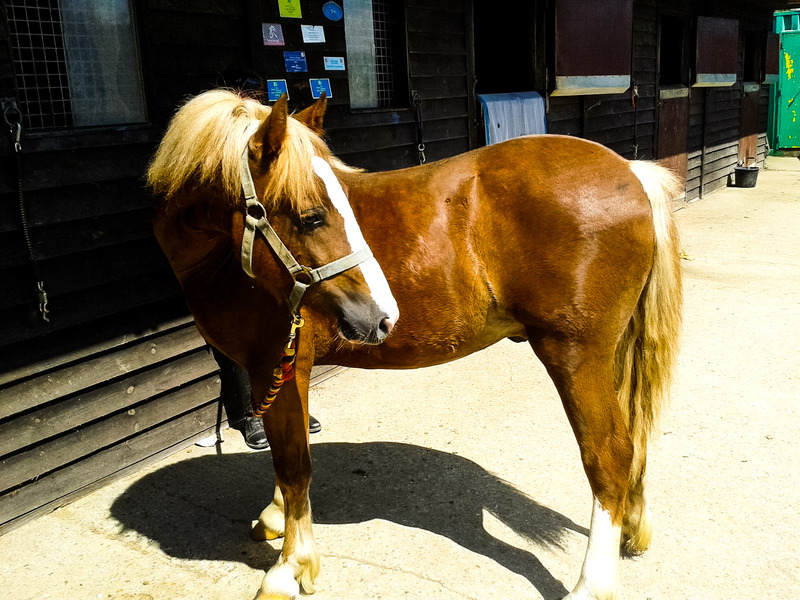 Harn is an Anglo-Arab and was just two years old, about 15hh and in need of more condition when his owner bought him. She had never had such a young horse before and she wanted to make sure that she had him on a diet programme that would enable him to grow to his full potential but not over feed him with all the problems that can cause. She had been to a Riding Club talk that I had given and so asked me to advise her. I devised a diet that was flexible so she could use it alongside her grass and other forage. Using a low starch, high oil and fibre feed designed for growing horses with a stud balancer she was able to feed exactly the right amount to ensure his optimal growth and development. He has been on this flexible diet ever since and last year he won several championships as a three year old and now as he is just turning four he stands at around 17hh with some of the cleanest limbs you will see on a young horse (see the photo below). She is now looking forward to showing him again in hand this year and also starting to back and ride him away. This is Harn in 2017 ! 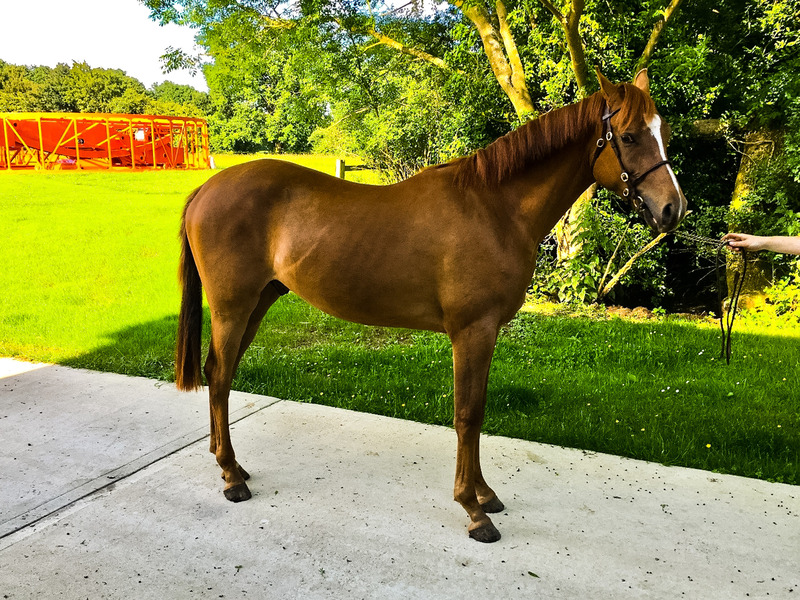 Austin is a young event horse who is a sensitive soul who arrived at his new owner’s yard slightly underweight and really lacking top-line. He had come with an unknown history of under-feeding and worming. 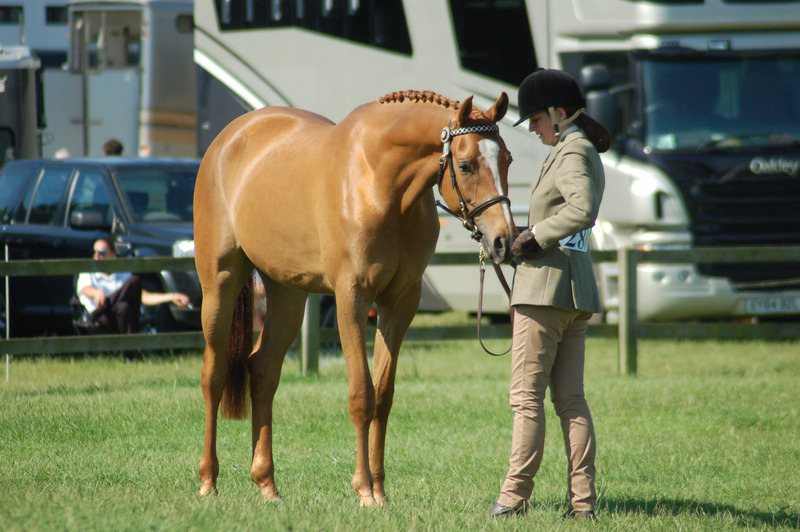 Being a very experienced horsewoman, she could see his potential and wanted to find a way to put weight and muscle on but not make him silly as she wanted him to remain trainable whilst improving in health, condition and muscle. We put him on a high calorie, high oil and fibre, low starch and sugar feed alongside a gut support supplement and he started to improve. His owner said she noticed a rapid improvement in Austin’s weight and general demeanour after changing his feed as advised and he continued to improve.